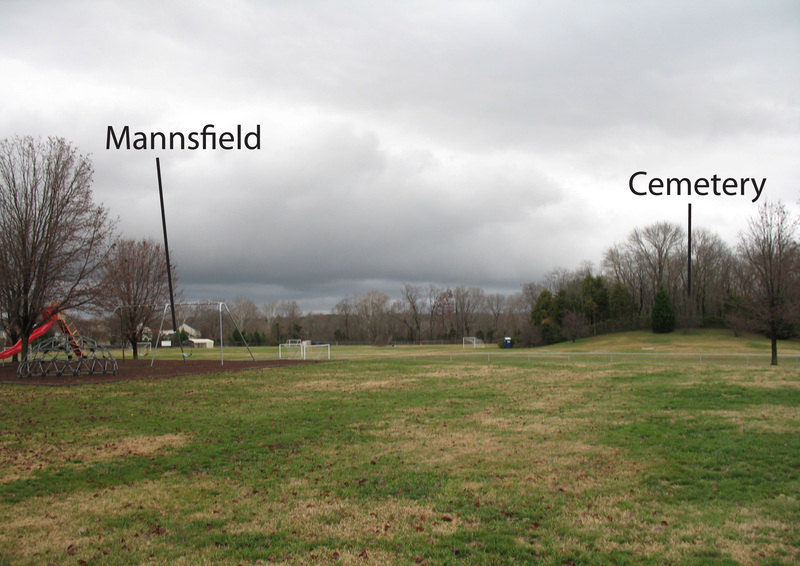 A decade later, the National Park Service undertook a well-photographed investigation of Mannsfield. That work is usually described as an archeological investigation, but it resembled archeology only to the extent that my singing resembles…well…singing. 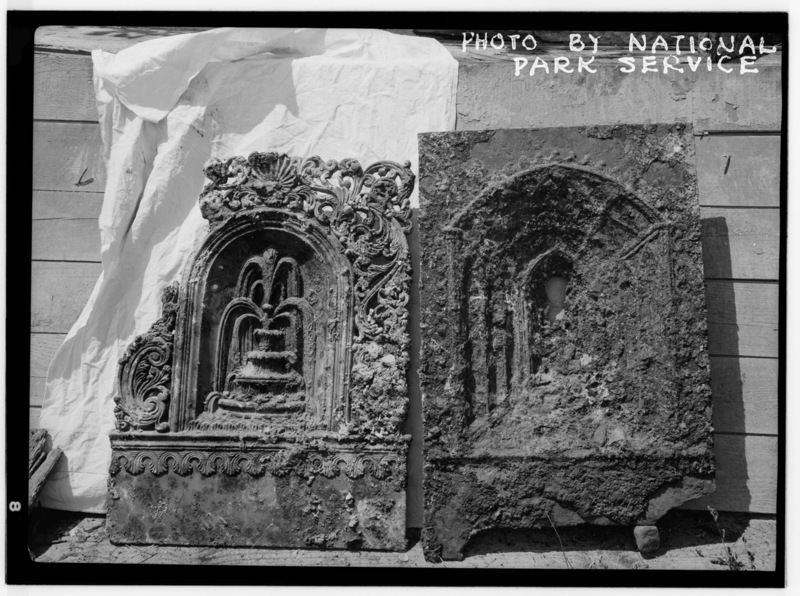 The work was directed not by an archeologist, but by a historical architect named Stuart M. Barnett. Assisting Barnett were eight workers from one of the local Civilian Conservation Corps camps. They did the digging, Barnett did the measuring, drawing, and talking. 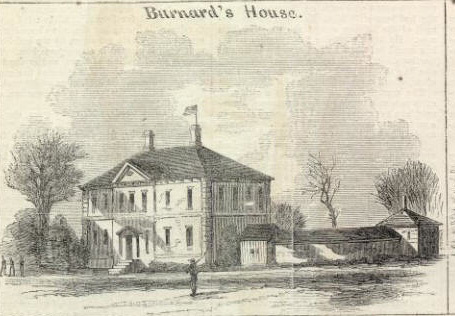 Barnett’s purpose was to expose and document the foundation of the big house and wings and determine, if possible, whether Mannsfield was in fact a twin of Mount Airy, as had long been presumed. He was apparently unaware of a wartime engraving of the house that might have rendered his work unnecessary. 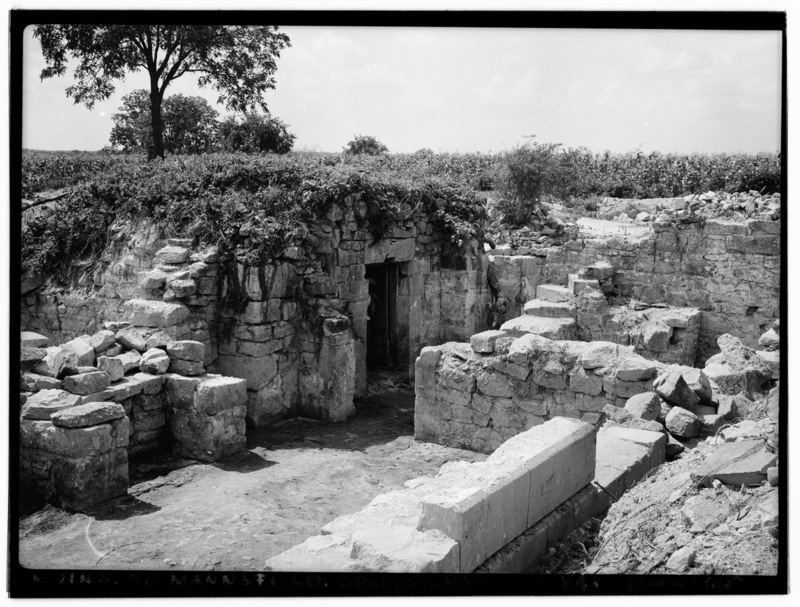 Though by today’s measures Barnett’s work was a horrific, unscientific destruction of one of the region’s most important archeological sites, he did indeed succeed in his purpose. 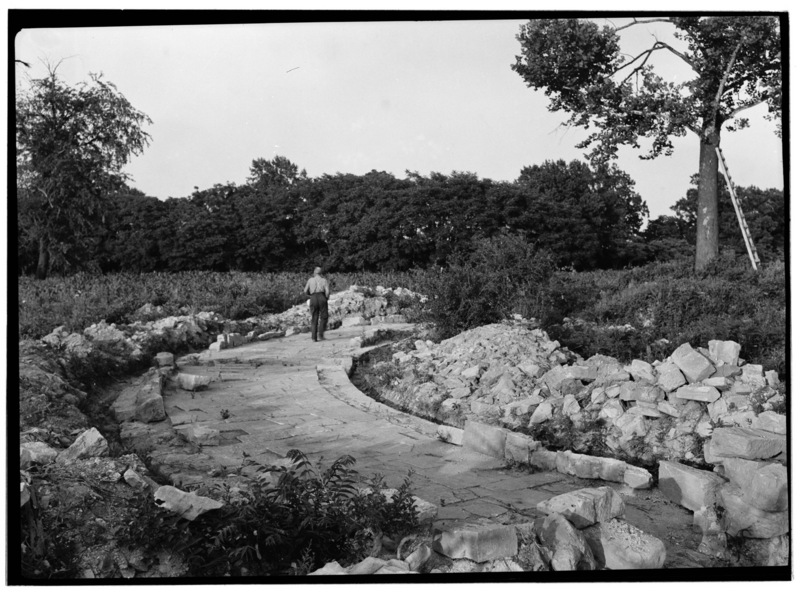 The project yielded some beautiful renderings by Barnett, along with some vivid photography of the ruins. 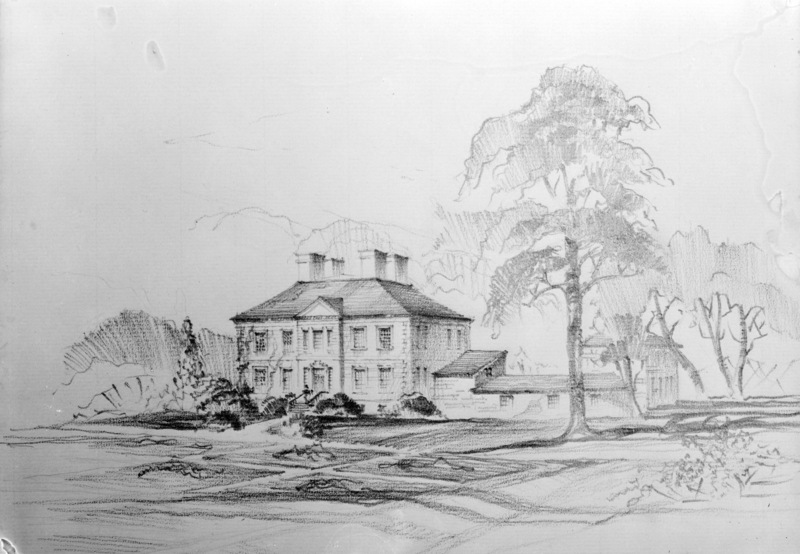 Here is Barnett’s rendering of the east (riverside) facade. Its perspective matches almost exactly that of the image published in Harpers. 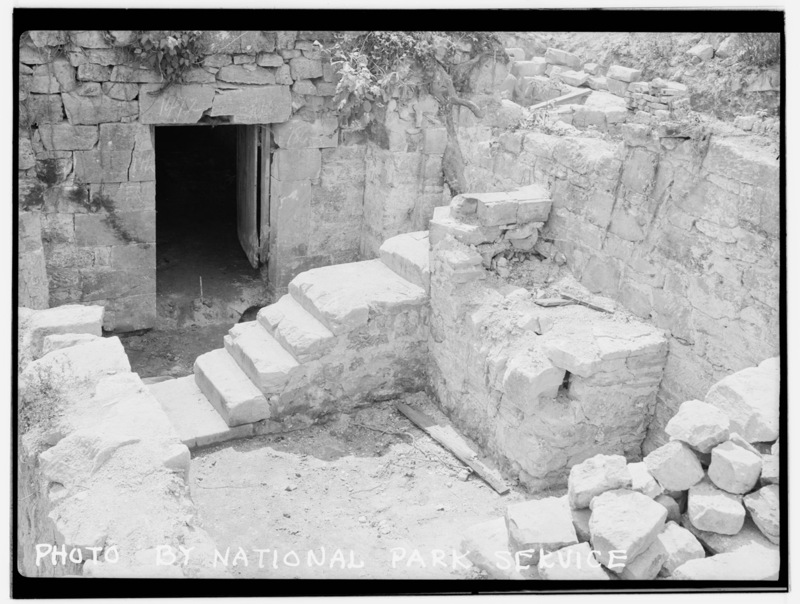 A closer view of the doorway within the cellar. 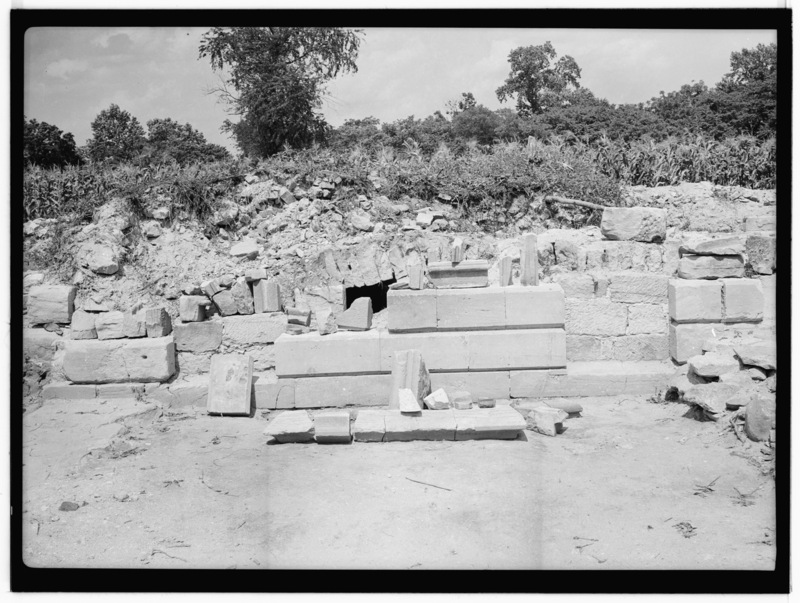 While much of the stone used in the basement appears roughly cut, Barnett uncovered at least one remnant of a wall with highly finished stone. This almost certainly reflects the above-ground appearance of both the big house and the forward wings. 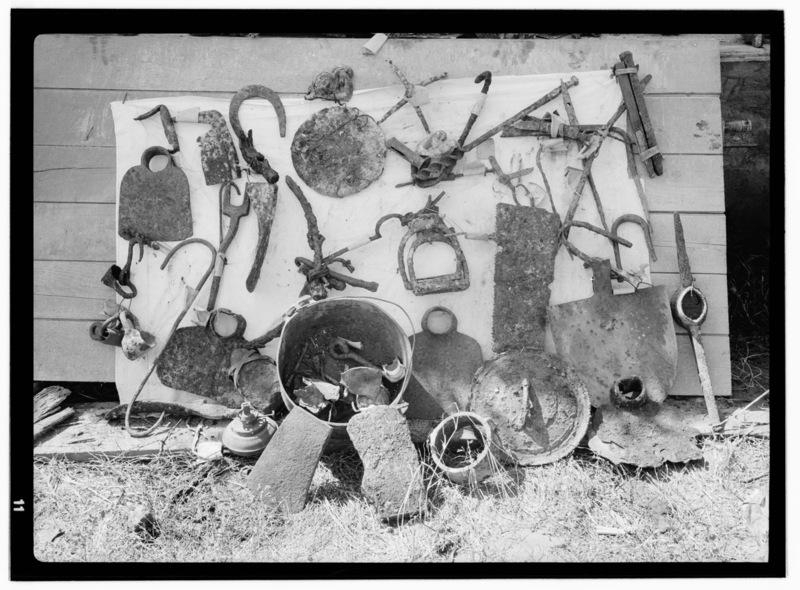 While it was not Barnett’s purpose to retrieve artifacts, he most certainly did. 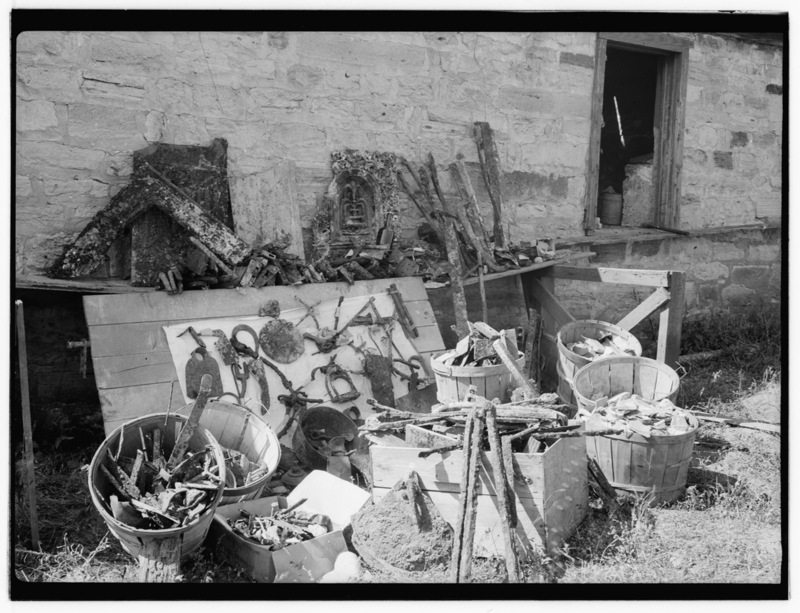 The local newspaper reported that the CCC workers “have been digging in the ruins. 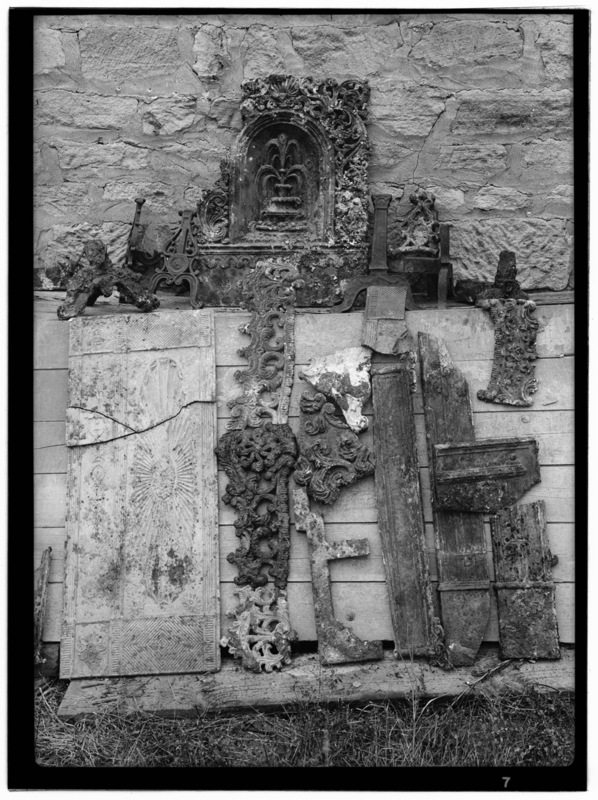 Bits of china, metal work and plaster are preserved in fact nothing that was associated with the razed house is left to further exposure of the elements.” Eric Mink tells me that at other similar architecture-driven investigations (Catharine Furnace and the Chancellor House ruins were similarly investigated by Barnett), the workers simply threw the artifact haul back into the site when they were done. Not so here. Clearly someone kept the artifacts. 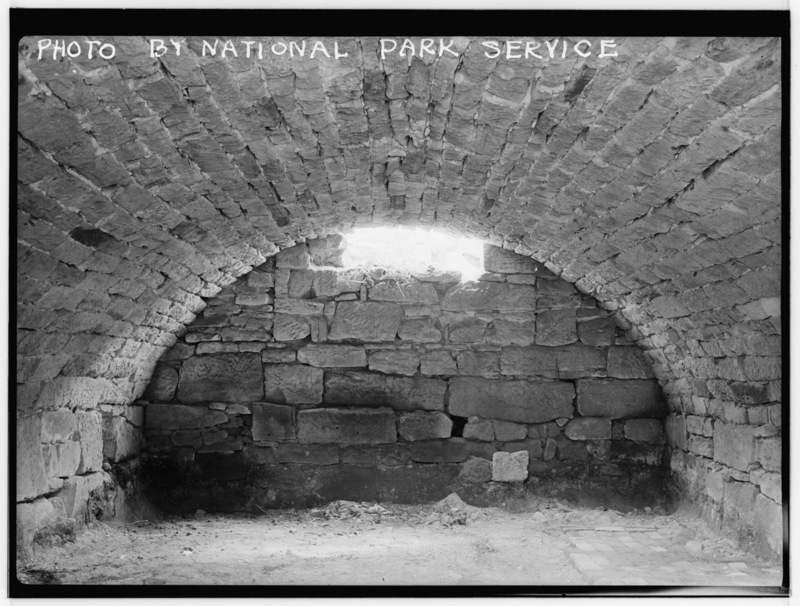 Where they are today is a mystery (the land was privately owned at the time, and the NPS had no claim to the artifacts; the best guess is that they stayed with the property owner). A huge variety of metal pieces came out of the site. Firebacks. The park indeed has a fireback from Mannsfield in its collection, though it was donated by a local resident--not recovered from the site in 1935. What of the site today? In the early 1960s, VDOT mined gravel and sand from the site for the construction of I-95. 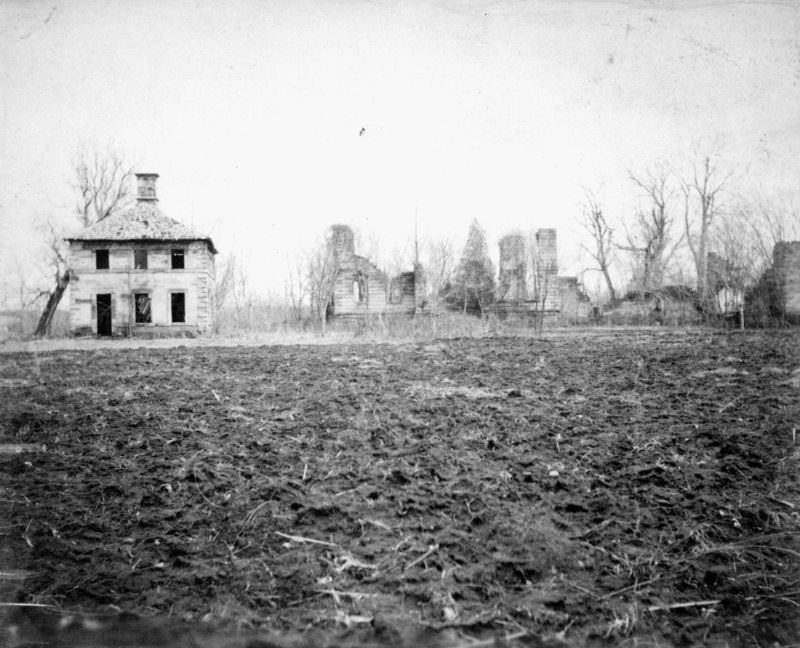 Today the ground is likely many feet lower than it was in 1766 or 1860. The archeological remains of Mannsfield are today amidst fill holding up some part of I-95. Only the cemetery remains. The site of the house and its wings straddles the property line between modern soccer fields and a subdivision. In the photo below, the cemetery is the wooded knoll to the right; Mannsfield stood near the site of the white shed visible at left. It’s likely that the historic level of the land was at the height of the cemetery knoll; quarry operations appear to have removed 15-20 feet of soil, gravel, and sand. 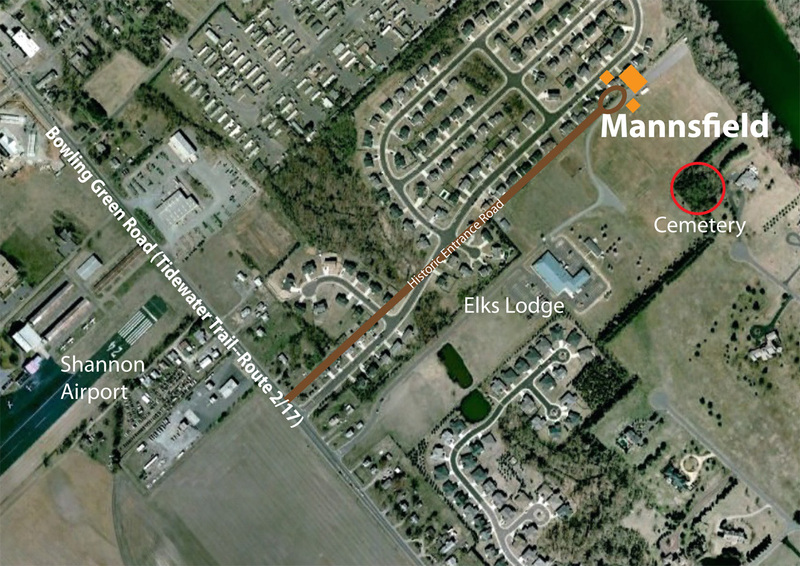 Please note that the site of Mannsfield is privately owned and not accessible to the public. For those of you wanting to read Barnett’s meager report on this huge project, you can find it here. In a future post we’ll dig for Mannsfield in the background of some well-known Civil War photos and offer up some of the outstanding documentation Noel Harrison has accumulated on the place over the years. *As with many Colonial gentrymen, confusion reigns when it comes to names and generations. There were in fact six Mann Pages. One–Mann Page’s younger half brother–died soon after birth. Most historians ignore his presence in the lineage and designate Mann Page (born 11749) of Mannsfield as Mann Page III, though in fact he was the fourth to beat that name. We can only be thankful Page wasn’t a Fitzhugh. There were TEN William Fitzhughs alive in the 18th century, scattered from Chatham to Annapolis. I find this, and the other, past postings I have seen fascinating. I live in Springfield and probably won’t get much closer to Fdksbg again (age, lessened mobility) but have spent enough time in and going through/around town to be able to orient myself and follow along. I’m a lifelong Civil War buff. I don’t know what I can contribute to this operation but would be glad to help if anyone can show me how. Thanks for, and please keep up, the good work. 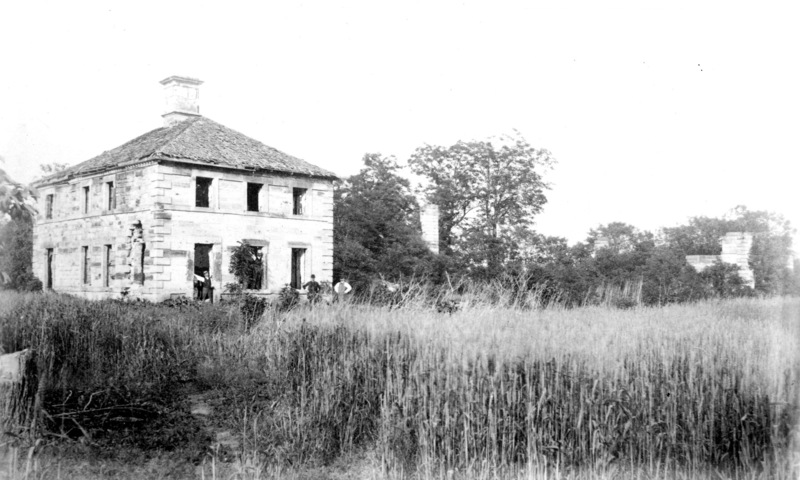 Does anyone know if the slaves of Mannsfield Plantation take the name Mann or Page as surname? Thanks Craig. The silence imposed upon slaves found its way into the historical record, as you have painfully noted. Of the more than 250 names (almost all with just nicknames) of slaves we have documented leaving Fredericksburg farms, homes, and plantations in 1862, I’ve been able to track only a handful into freedom. It’s a tough road to travel, but good luck to you, and if we can help in any way, let us know. John H.
Ms. Page, thanks for sharing the wonderful story. Hi John, Apparently Mr. Bernard was quite a Confed. Sympathyzer. Could that be a Confed flag flying from Mannsfield in the Harpers Weekly sketch? I appreciate all your hard work in uncovering the mysteries behind this grand southern plantation. I grew up in Fredericksburg, was a history major at UVA, and wrote my senior history thesis on family graveyards. I found a few books that mentioned Mansfield, but never gave the exact location of the ruins or family graveyard. I had wanted to include this in my research, and perhaps take a photo and document the ancestors buried there. Ironically, my parents moved to a small retirement community called Mansfield, as, yes, it is within walking distance to where the house stood. Thank you for all your research and wonderful photos! I am still very much a history buff, and now that the internet is here, I am able to read about mysteries such as Mansfield. On a pay newspaper archive site, I came across an August 1796 advertisement for the establishment of horse races on the Mannsfield plantation. The ad seems to have been placed by Larkin Stanard (evidently the secretary of the newly-constituted Rappahannock Jockey Club). According to my research, the races were run continuously at Mannsfield through at least 1805; also, in the Fredericksburg vicinity in 1810 and 1819-20. (It is likely that the latter races were at Mannsfield.) I also seem to recall that racing was reconstituted in Fredericksburg in the 1830s or 1840s, but I cannot easily locate those mentions. Many great horses of the era ran at Mannsfield, including the incomparable grey gelding Leviathan, who happened to be defeated by the mare Fairy (aka “Ariadne”) during his only start there on 10-13-1801.